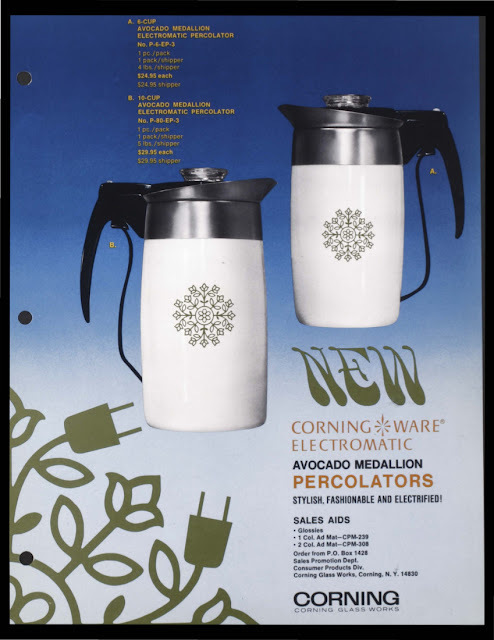 We are all familiar with the Avocado Medallion percolators that were sold as an accompaniment to the Avocado Round Cookware series. 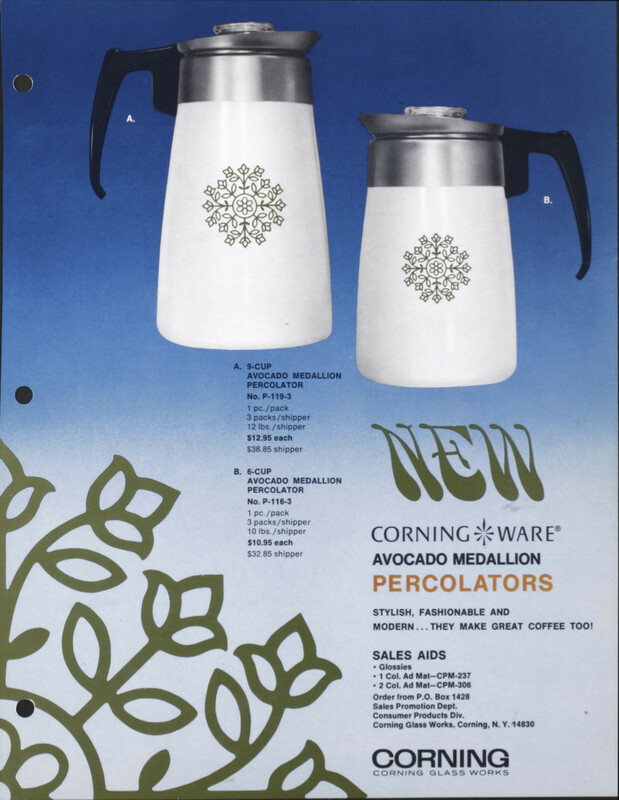 But did you know that there were Centura coffee cups to go along with the percolator? I didn't either until a few months ago; but they make a great morning pairing.